The relations between Hamburg and India are as varied and diverse as the country itself. With around 80 events Hamburg is now celebrating the sixth time the traditionally good relations with India. The India Week Hamburg invites from 2 to 8 November 2015 to to discover this diversity. The opening ceremony of the India Week Hamburg in presence of the First Mayor of Hamburg is held in the City Hall. Invited are all organizers of the program and those who are actively involved in maintaining good relations between Hamburg and India. The Indian psychoanalyst and author Sudhir Kakar will present the keynote speech. The vocalists Sangeeta Bandyopadhyay and Christiane Iven present poems of the Nobel laureate in literature Rabindranath Tagore accompanied by Burkhard Kehring on the piano. Mumbai’s most famous landmark, the historic Gateway of India, stands proudly on the waterfront of the city, overlooking the harbour. It greets travellers from every corner of the earth and invites them to discover a fascinating country. I myself had an opportunity to do that three years ago. The country and its people impressed me enormously. India unites tradition and innovation in a way that is truly unique. So it is all the more pleasing to me that Hamburg, too, becomes a Gateway of India every two years. And having said that, dear guests, I welcome you most warmly to India Week 2015 on behalf of the Senate of the Free and Hanseatic City of Hamburg. India Week is taking place for the sixth time this year. 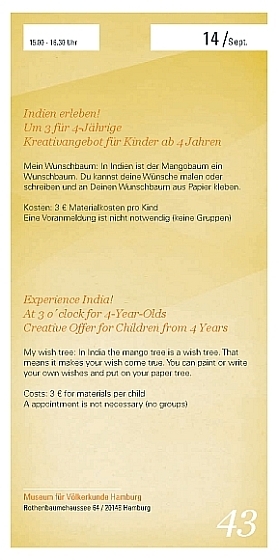 The motto is: “Discover India in Hamburg”. And that is not too much of a promise. Until next Sunday our city will be transformed into a colourful kaleidoscope that will tempt the public to discover some of the many facets of India. 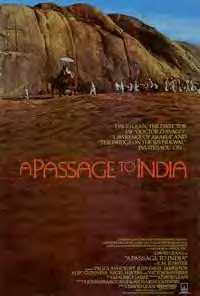 There is no denying that India is a land of superlatives and a land where extremes meet. 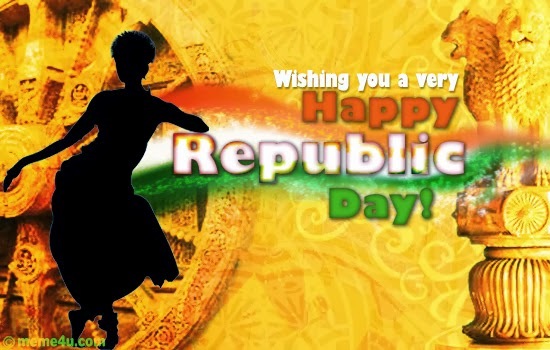 With a population of 1.2 billion, the Republic of India is the world’s second-largest country and its biggest democracy. It is one of the ten largest economies and therefore an important global player. In some industries, especially in the IT sector, it has achieved a leading position. But at the same time – and that is India, too – one-third of the population lives on or under the subsistence level. India Week is the biggest event of its kind in Germany. It has long become a good Hamburg tradition, and one that is becoming more and more popular. This year we are celebrating the biggest India Week ever. Nearly twice as many participants are involved as in 2013, and a large number of new sponsors and promoters have been found. Preparations for the coming week have been going on for over a year. Many people have put great effort into this work – and I wish to thank them all most sincerely! The result is very pleasing. Visitors can look forward to top-class presentations from the fields of industry, politics and society. 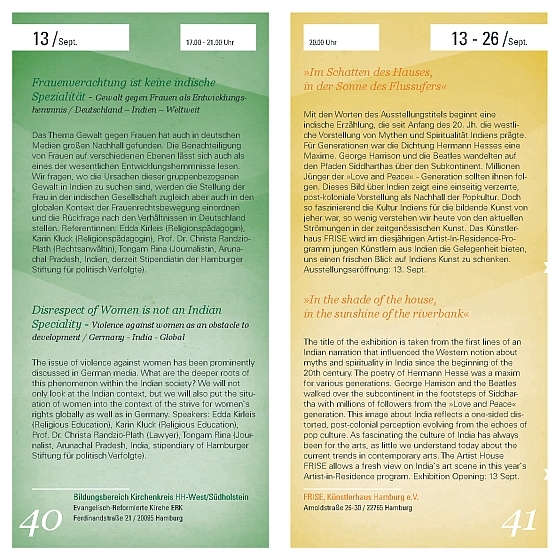 The programme includes both traditional topics and issues of importance to the present and the future. Of course fans of Indian culture will find a great deal to interest them, too. The cultural events will account for a large part of the coming week – and much of its magic. Among other things we can look forward to musical and cinematic highlights, an Indian football match and the dance performance of a male ensemble. One important topic will be the strength of Indian women. 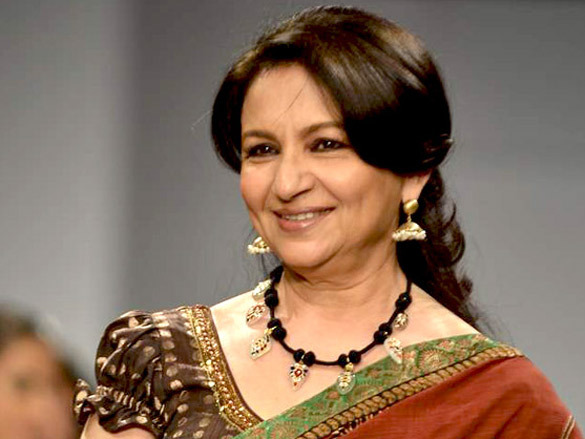 We are happy and honoured to welcome so many prominent personalities from India, including the outstanding actress Ms. Sharmila Tagore. It’s four hundred years, now, since the first ships set out for India from the port of Hamburg, under extremely difficult conditions. In those days it took a good 20 weeks to reach their destination. But arduous as the journey was, trade between our nations flourished and German-Indian relations have become stronger all the time. Hamburg’s foreign trade with India has nearly tripled since 2002 – from 450 million euros to about 1.25 billion euros. Over 236,000 standard containers are now handled in the port of Hamburg, including shipment via Sri Lanka. Our imports from India are mainly textiles, chemical products, and food and feed. Our trade relations are by no means a one-way street. Proof of that is the latest record order from IndiGo to Airbus. 250 aircraft of the type A320neo are now to be built for the Indian airline. Some 550 Hamburg companies engage in trade with India. More than a quarter of them have representative offices, affiliates or production facilities of their own in the country. And not without reason: the sub-continent offers enormous potential for growth – potential which is still far from being exploited to the full. Companies that are treading new ground by entering the Indian market can count on support from Hamburg. Since 2011 the city has had a representative office in Mumbai and informs Hamburg investors about the opportunities awaiting them on the spot. In addition, two Hamburg Ambassadors represent the interests of our city in Hyderabad and Mumbai on a voluntary basis. Not to mention the offers here in Hamburg, too. Hamburg maintains an economic dialogue with India through networks and institutions. 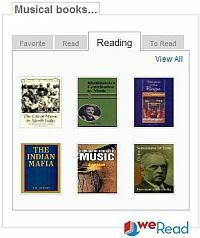 They include the German-Indian Round Table, one of the initiators of India Week. This open platform for small and medium-sized companies was established in Hamburg in 2001 to promote business relations between Germany and India. Other players specializing in “India” are the Hamburg Chamber of Commerce, the HWF Hamburg Business Development Corporation and the Hamburg Ministry of Economy, Transport and Innovation. Yet another platform aiming to promote relations with Indian industry is the German Asia-Pacific Business Association (OAV). Conversely, there is considerable interest in Hamburg. Some forty Indian companies have established themselves in our city. They include the Indian steel magnate Laxmi Mittal, who bought the Hamburg Steelworks. And also Tata Consultancy Services Deutschland GmbH and various importers of clothing and spices. But good partnership requires close cultural relations, too. Our India Week is a way of pointing that out to the public. For years, Hamburg has maintained intensive contacts and cooperation with creative artists from India. Hermann Hesse and Thomas Mann and sends our imagination on journeys of discovery to this day. 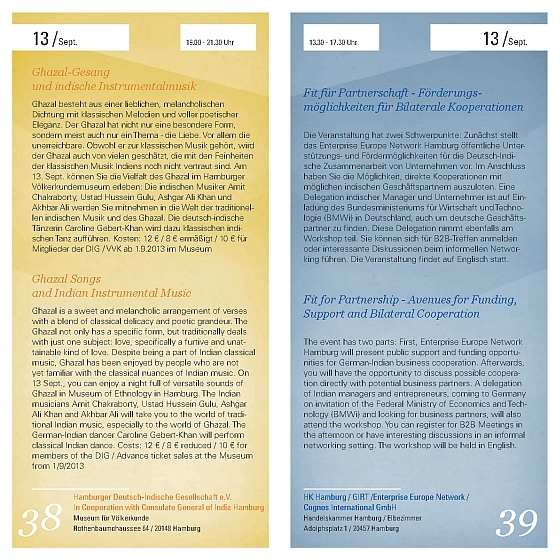 The Hamburg Ministry of Culture regularly supports a cultural exchange with India. One example of this is the project “040”. It was initiated in 2009 together with the Goethe Centre in Hyderabad with the aim of promoting artistic and cultural projects jointly. It so happens that Hamburg and the south Indian city of Hyderabad have the same telephone dialling code. Indian artists are regularly invited to our city. The partners and organizers are the associations active in Hamburg, such as the Indo-German Society, and many institutions from Hamburg’s cultural scene such as Kampnagel, the Metropolis Cinema and KinderKinder. Similarly, cultural institutions from Hamburg present themselves in India. Two hundred years ago Franz Bopp, who initiated the study of the Indo-Germanic languages, was able to prove what had long been suspected in Europe: Old High German and other ancient European languages are related to Sanskrit. A fascinating discovery. It makes us aware that we have common roots that will always constitute ties between us in spite of all our social and cultural differences. Maybe it is these common roots that make Hamburg and India partners in the pursuit of progress. We are united by a strong will to achieve competence in matters of modern technology and the sciences. For years, Hamburg’s universities have been cooperating with top-ranking universities and research institutions in India. In the last winter semester, 375 students from India were registered at universities in Hamburg. That means the number has more than doubled in the past three years. Most of the students register for degree courses in Engineering at the Technical University of Hamburg-Harburg, and they are highly successful. That makes them extremely interesting as specialists – both for Hamburg and for the Indian market. Hamburg is one of the most dynamic major cities in the European Union, and it offers excellent quality of life. Part of that is our culture of welcome. We support newcomers to our city in numerous ways. That applies especially to skilled workers from abroad; for them we hope to become a “Gateway to Germany”. We want everyone who lives and works in Hamburg to feel welcome and at home among us. This year, India Week will be taking place on the eve of the Diwali Festival. The “Festival of Lights” is one of the most important celebrations in India, rather like Christmas here in Europe. So we hope the next few days will be a successful run-up to it, full of highlights and insights that open up new paths into the future. Broadcast India Show 2013 (9-11th Oct)…. Conference & Preview. The two day conference (9-10th Oct) that is hosted con-currently with the main exhibition is an important aspect of the Broadcast India Show (9-11th Oct). By inviting wide-spectrum participation from presidents, directors and proprietors of companies to engineers, technicians and technologists, it forms an interactive and enlightening backdrop for in-depth presentations, cross-pollinating discussions and analytical forums. Refreshing and enlightening and uni-focussed in both format and presentation, its goal will be to become the enhanced platform for informative and enlightening debates, along with product promotion. In all, it will be one of the major contributors to draw out the inner energies of the participants and attendees to realize their potential in myriad so far not deemed possible. The Sacred Animals of India. an image array of sacred animals you can choose the ones you like best and glue a colorful zoo collage. Hintergründe. Dabei nimmt sie Bezug auf das ca. 2000 Jahre alte »natyasastra«, die Urschrift tänzerischer Regelwerke. are practiced isolated and reassembled in complex motion sequences. schreiben und an Deinen Wunschbaum aus Papier kleben. your own wishes and put on your paper tree. 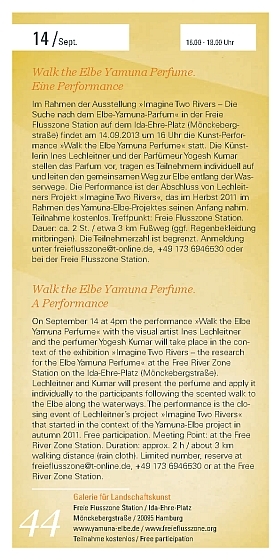 Walk the Elbe Yamuna Perfume. Im Rahmen der Ausstellung »Imagine Two Rivers – Die Suche nach dem Elbe-Yamuna-Parfum« in der Freie Flusszone Station auf dem Ida-Ehre-Platz (Mönckebergstraße) findet am 14.09.2013 um 16 Uhr die Kunst-Performance »Walk the Elbe Yamuna Perfume« statt. Die Künstlerin Ines Lechleitner und der Parfümeur Yogesh Kumar stellen das Parfum vor, tragen es Teilnehmern individuell auf und leiten den gemeinsamen Weg zur Elbe entlang der Wasserwege. Die Performance ist der Abschluss von Lechleitners Projekt »Imagine Two Rivers«, das im Herbst 2011 im Rahmen des Yamuna-Elbe-Projektes seinen Anfang nahm. Teilnahme kostenlos. Die Teilnehmerzahl ist begrenzt. Dauer: ca. 2 St. / etwa 3 km Fußweg (ggf. Regenbekleidung mitbringen). Anmeldung unter freieflusszone@t-online.de, +49 173 6946530 oder bei der Freie Flusszone Station. On September 14 at 4pm the performance »Walk the Elbe Yamuna Perfume« with the visual artist Ines Lechleitner and the perfumer Yogesh Kumar will take place in the context of the exhibition »Imagine Two Rivers – the research for the Elbe Yamuna Perfume« at the Free River Zone Station on the Ida-Ehre-Platz (Mönckebergstraße). Lechleitner and Kumar will present the perfume and apply it individually to the participants following the scented walk to the Elbe along the waterways. The performance is the closing event of Lechleitner’s project »Imagine Two Rivers« that started in the context of the Yamuna-Elbe project in autumn 2011. Free participation / Limited number. Meeting Point: at the Free River Zone Station. Duration: approx. 2 h / about 3 km walking distance (rain cloth). Reserve at freieflusszone@t-online.de, / +49 173 6946530 or at the Free River Zone Station. 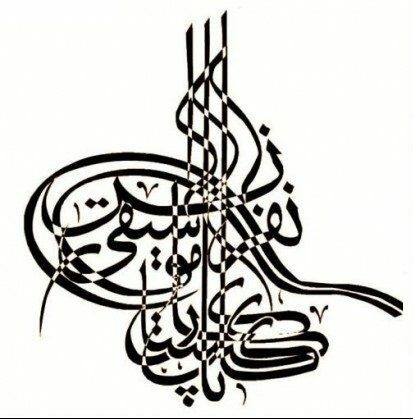 Völkerkundemuseum erleben: Die indischen Musiker Amit Chakraborty (Sänger der nordindischen Klassik), Ustad Hussein Baksh Gulu (zusammen mit seinen Söhnen Chand & Suraj Khan als Jugalbandi (Duet)), Ashgar Ali Khan und Akhbar Ali (Violine/Afghanistan) werden Sie mitnehmen in die Welt der traditionellen indischen Musik und des Ghazal. Die deutsch-indische Tänzerin Caroline Gebert-Khan wird dazu klassischen indischen Tanz aufführen. Ghazal in Museum of Ethnology in Hamburg. The Indian musicians Amit Chakraborty (vocalist of North Indian Classics), Ustad Hussein Baksh Gulu (together with his sons Chand & Suraj Khan as jugelbandi (duet)), Ashgar Ali Khan and Akhbar Ali (Violine/Afghanistan) will take you to the world of traditional Indian music, especially to the world of Ghazal. The German-Indian dancer Caroline Gebert-Khan will perform classical Indian dance. Die Veranstaltung hat zwei Schwerpunkte: Zunächst stellt das Enterprise Europe Network Hamburg öffentliche Unterstützungs- und Fördermöglichkeiten für die Deutsch-Indische Zusammenarbeit von Unternehmen vor. Im Anschluss haben Sie die Möglichkeit, direkte Kooperationen mit möglichen indischen Geschäftspartnern auszuloten. 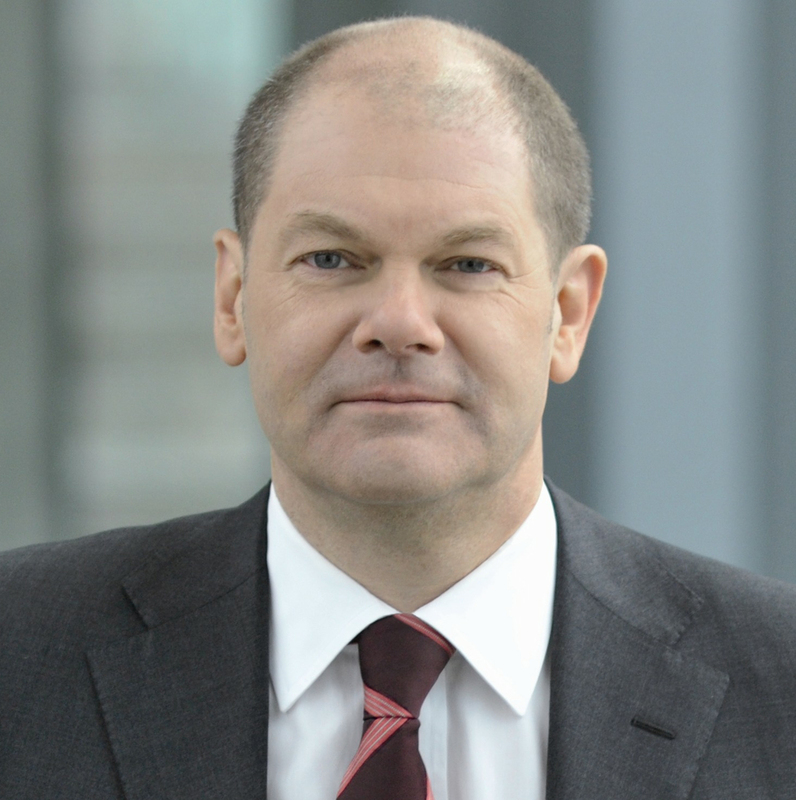 Eine Delegation indischer Manager und Unternehmer ist auf Einladung des Bundesministeriums für Wirtschaft und Technologie (BMWi) in Deutschland, auch um deutsche Geschäftspartner zu finden. Diese Delegation nimmt ebenfalls am Workshop teil. Sie können sich für B2B-Treffen anmelden oder interessante Diskussionen beim informellen Networking führen. Die Veranstaltung findet auf Englisch statt. directly with potential business partners. A delegation of Indian managers and entrepreneurs, coming to Germany on invitation of the Federal Ministry of Economics and Technology (BMWi) and looking for business partners, will also attend the workshop. You can register for B2B Meetings in the afternoon or have interesting discussions in an informal networking setting. The workshop will be held in English.